The school holiday wheels are already falling off and it is only day one. We have baked a cake, watched a movie, done colouring in and my current soundtrack to this blog is a pair of tap shoes that I am hoping miraculously get lost stat! Mariah Carey’s rendition of “All I want for Christmas” doesn’t even have the lift for the fatigue that has set in this season. Moment after moment, we sit in the midst of our messy lives and we remember the pure joy of being human. Perfectionism is rife at Christmas and the advent of social media has made us all experts in the filtered life. Then enters this Carol. It is one that often makes me hiccup in the middle of my December madness. The idea of faithfulness does not sit well with our current climate of consumerism. Another way we could describe it is just showing up. Showing up for each other. Showing up for our families, even when it is far from perfect. Over the last couple of months, I have been on a book club journey with a group of wholehearted women. We have been reading through Brene Brown’s latest offering “Braving The Wilderness” and in full disclosure, today is the last day of the book club and I am meant to be writing my final salutation from the book, to round it up perfectly and neatly, wrapped in a bow. However, there is one problem. I haven’t finished reading the book. Yep, fail and shrug. You see I could have written a post about what I have learnt from the book and filtered the whole experience with quotes and nods filled with wise sayings. Dodging the reality that I was missing the point of the book altogether. Being brave means being faithful. 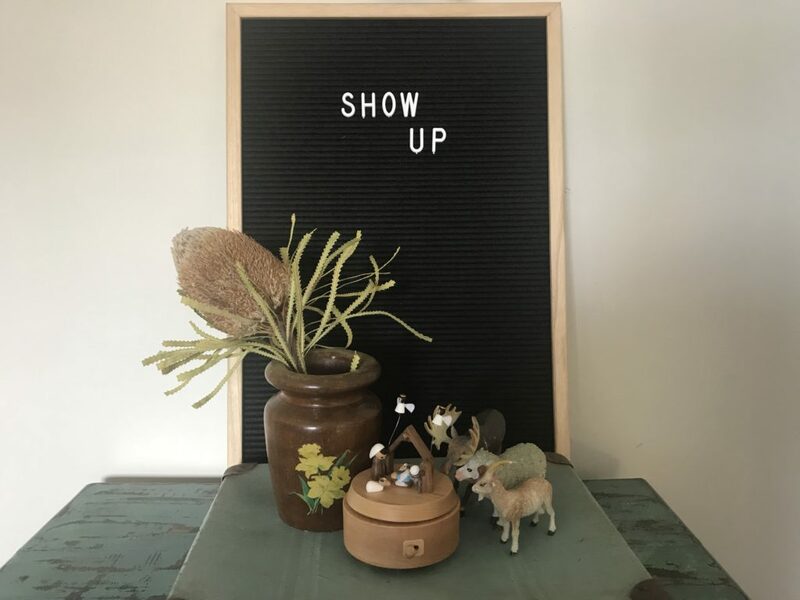 Which means we show up, even when we haven’t quite made the measure. See, Jesus entered a world that was upside down. I am sure entering the midst of humanity would have been a shock to his perfection. He sat and cooked fish on the shores of the ocean. Sat around tables and broke bread. Took the time to visit those who were sick and he was misunderstood by his family and friends. “True belonging is not passive. It’s not the belonging that comes with just joining a group. It’s not fitting in or pretending or selling out because it’s safer. It’s a practice that requires us to be vulnerable, get uncomfortable, and learn how to be present with people without sacrificing who we are. We want true belonging, but it takes tremendous courage to knowingly walk into hard moments.” Brené Brown, Braving the Wilderness. So here I stand a little uncomfortable because I didn’t finish something I started but at the same time I am showing up and finding grace in the midst of faithfulness. What lesson did you take away from the book? and what was your favourite quote? 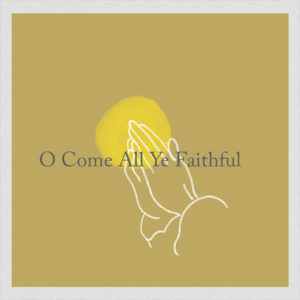 I pray this Christmas for those who are faithfully showing up even though it looks very imperfect. Help us to discover our voice in the midst of disconnected moments. I pray mostly for those who feel isolated or forgotten this Christmas. Those who are looking for where they belong. I hope that they would find the courage to step foot into a church, a carols service and participate in the choirs of angels singing in exaltation. That we would together answer each other’s prayers in ways that could only be attributed to miracles. It was late Christmas Eve, I had been working at a production all week and I was exhausted. I’d come home to sleep over my Mums house ready to wake alone again at Christmas. I watched the annual Christmas Carols by Candlelight on the television by myself. Tears dripped down my face and rolled onto my PJs. I dreamed of future possibilities of having a family of my own. Wasn’t I too old to be at my parents house for Christmas? Then Marina Prior walked onstage and her rendition of O Holy Night, brought hope from the depths of my soul. This has always been one of my favourite carols. There is something in the words that breaths hope even to the tiredest soul. 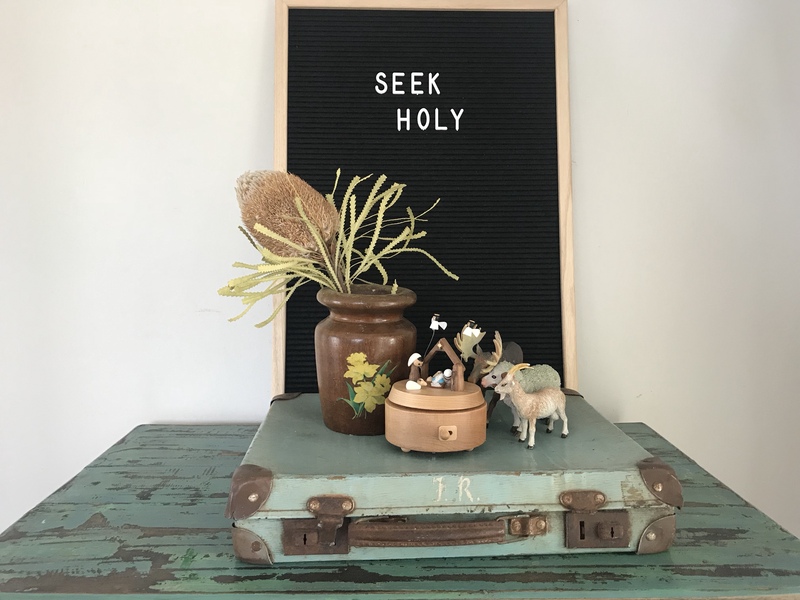 Seek Holy even when it’s tough. Seek the truth even when it hurts. Find hope waiting sojourner, new days are coming. This Christmas I pray even when it’s difficult that you find hope waiting. May peace find you in those hurting places and little surprises of grace sprinkled over your moments of solitude. Today begins the long treacherous road of the school holidays for my gang and me. I’m lathering myself in essential oils, breathing deep and hoping for patience for Christmas. I had no idea that motherhood would turn me into Ebenezer Scrooge! I sat at my son’s end of year concert today hoping that the carols would stop and as I flopped on the couch this afternoon the thought of writing a devotional was furthermost from my mind. My kids have pulled their mattresses out into the loungeroom and I can hear the soundtrack of “The Polar Express” whispering them into calm. One of the main reasons why Christmas comes with so much stress and sadness is each and every person we meet is fighting a battle we never see. 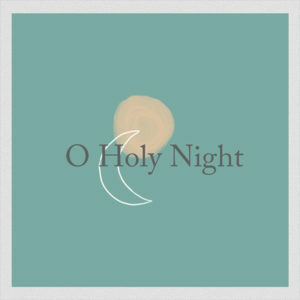 The word Noel translates into the Christmas Season and in its rawest form means birth. 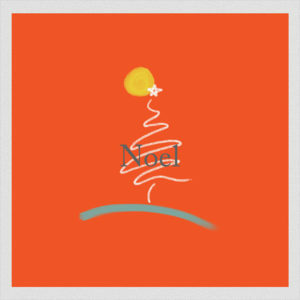 We could take license and say that “Noel” indicates the birth of the Christmas Season. Now there is much debate about the history of Christmas, the who, what, where and how. No matter what you believe about the beginnings of the traditions we now call Christmas, I am sure that falling into a place of disappointment, isolation and regret is far from ideal at this time of year. Dickens describes it perfectly when he unravels the heart of his character Ebenezer Scrooge. This Christmas (and school holidays) I am going to do my best to live in the midst of the season and celebrate the messy moments in my today. Fruit grows in the midst of adversity when we humble ourselves and lean into the new. The first Christmas, when Noel was birthed was far from perfect. I know Joseph would have been fuming that every hotel was full to overflowing. I can’t imagine that Mary would have been smiling with peace and adoration when a donkey rode her into a back shed, with cattle lowing. The carols make it sound so serene, but have you stayed in a farmyard shed recently? Net alone put your newborn in one of their feeding troughs? Moments of opportunity for growth. This Christmas, in the midst of dance concerts, holiday madness, hens nights and kitchen teas, I am trying to learn about patience and peace. 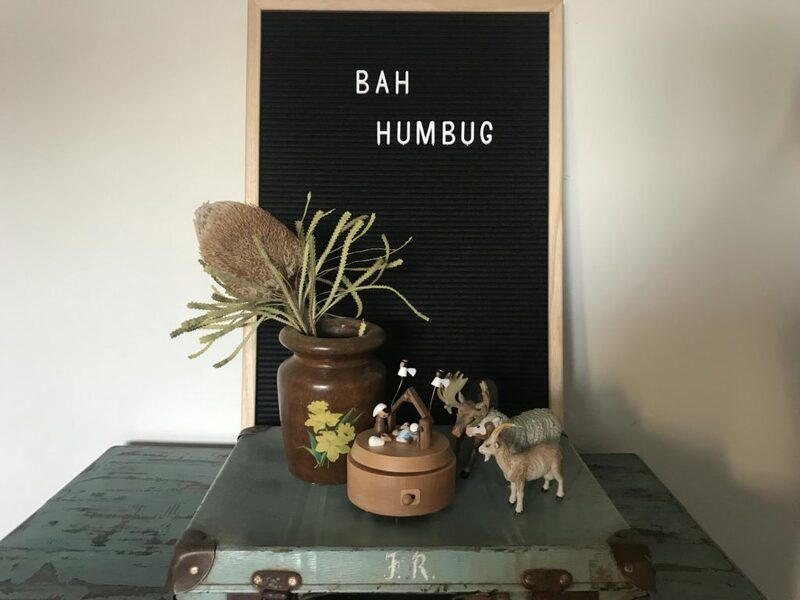 Slowing down my Christmas and expectations. This year we are doing no presents for adults, as three days after Christmas, it is my sister’s wedding. I am also buying take away on Christmas Eve because it has been a long year and I am going to revel in the spontaneity of it all. And each moment when I struggle to maintain my peace, with children screaming and toys flying, I will remember the moment when I said that this Christmas I will walk slowly. May your Christmas be full of moments that teach you the beauty of rest. When someone asks you to rally into a high pitched fervour, that we would learn to step back and breathe deep. I ask that wisdom would prevail and we celebrate the beauty of mess. Lowering our expectations to remind our hearts of the simplicity of it all. My day today began with kisses and cuddles. He ran into my bedroom before the sun was rising as his Dad was closing the front door. Sneaking around the side of my bed he whispered, “Only two more days of school left Mum” and with that, my sleep was broken. I have never experienced Christmas through nearly six-year-olds eyes and I am learning it just gets better and better. He exudes joy and I remember quickly when I stop to see things from his perspective that is the essence of the season. My Nanna’s middle name was Joy. She was all of five feet tall and she used to sit on her grandchildren’s laps with a can of beer at Christmas. I remember running into her house, down the corridor and straight to her Christmas cookie jar. She passed away over twenty years ago, but I often smile as I drive past her house, wishing my kids could meet her. My Grandmother’s name is Joyce and every year even though she is now ninety-four, she bakes her famous Christmas cookies and cakes for all. Just recently I happened to walk in on her Christmas baking day and you could tell it was the highlight of her year. I have realised each year as I see Christmas through the eyes of others that the young and very old understand the brilliance of celebration. Even in the midst of sadness, we can find Joy waiting, as it is an internal disposition. Recently someone on the internet messaged me and typed. I saw you driving yesterday. and it really changed my day. I wasn’t intentionally smiling, maybe I was laughing at my raucous three-year-old but I know that feeling. When a stranger says hello or engages with me for no other reason than to just make me smile, it is the hidden beauty of Christmas. Just this week we were in the shops, picking up last minute errands and my Mr Six was over it. The shop assistant noticed the meltdown in full flight and she pulled out a Freddo frog from behind her counter. What if we waged war this Christmas bringing joy to the shopping centres full of chaos? What if we made it our mission to spread joy to our neighbours even when they drive us a little crazy? This is the beauty of Christmas and our world needs joy more than ever before. I pray this Christmas that we find joy in unlikely places. That friends and family, strangers and enemies feel the impact of celebration lasting longer than the season. Help us to be instruments of peace. Where there is hatred let me sow love. May our words be few and our hands outstretched to those who feel stressed. May we find joy in the most unlikely places and peace its ever faithful companion. 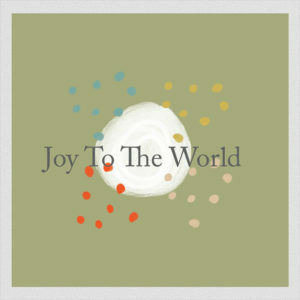 Day seven: Joy To The World. The word peace in its rawest form means a world free of disturbance and tranquillity. The application of this word upon our earth means an age free of war. 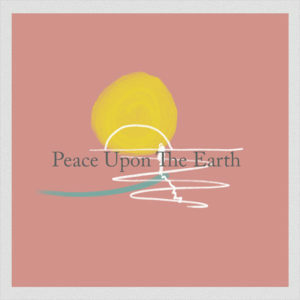 The human race has a thread throughout the beginning of time where we long for peace. The quiet moment where we see communities working together for the “better good” of the whole rather than the advancement of the individual. This Christmas more than ever I think we all long for good news. I don’t know about you and your house, but each and every time I turn on the news as my family settles in for the evening I regret it. The overwhelming needs found in our communities sometimes disable me. Just recently I was sitting out to lunch with a new friend, who is a business owner in my local town. She said to me “I’d like to give back this Christmas”. I have stock that I often sell and all my stock runs low at this time of the year, but this year I want to give it away to those who don’t have much”. Over social media, we chatted about options and then we came together again to hatch a plan. 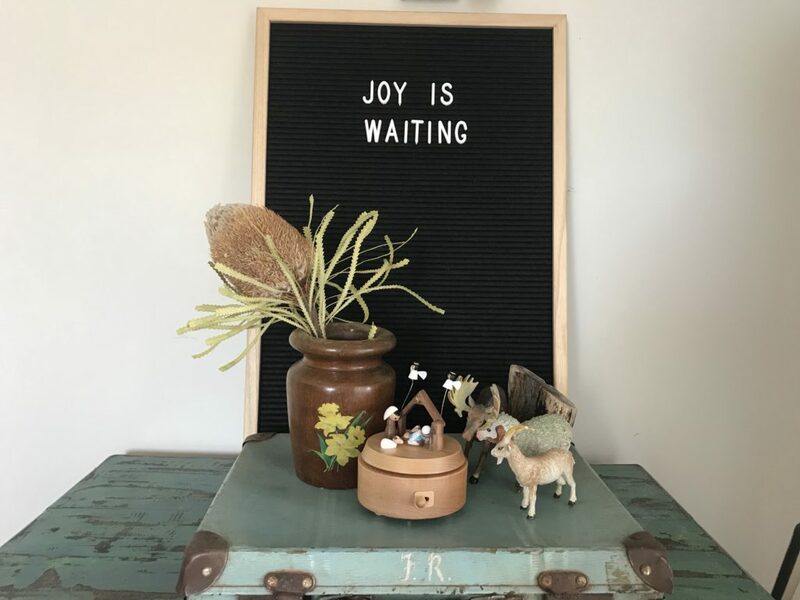 Last week I went to go and pick up what I thought would be a couple of boxes of beautiful handmade products, to walk away with hundreds, upon hundreds of little gifts for people in our community. I called our local refuge, who opens their doors three days a week for those who are needing shelter and safety, to see whether they would like to give them out to their guests. Then I also found a house of hope, that takes in young pregnant women and we gave boxes to them. Then we bought hundreds of them to a campaign that is supporting families in our community who are victims of domestic violence and are at risk. One small conversation, that has flowed into the hearts and lives of many different families in our community. Peace is no longer decreed by the Kings of our land and leaders in far off places. Peace is waged by everyday people in the community reaching out their hands and giving from what is within it. I know the war of peace is waged in the hands of the unseen, when we reach out and hold hands with a stranger, letting them know that we see their unrest. I know the strategy of victory is employed when everyday housewives and check out operators smile, with a word of encouragement. I know that greatness is found in the most humble of places and when we acknowledge the difficulty of those in dark seasons we surge forward the plight of peace upon our earth. Christmas awakens the heart of generosity in humankind. When we celebrate one another, sharing homemade biscuits with our neighbours and extend our hearts to those in need, the battle is taken just one step towards a greater tomorrow. My prayer this Christmas is that we would magnify the simple acts of generosity across our society more than the consumerism that seeps into our hearts. That we together would see kindness and the little moments to encourage another as the purest gold of our generation. Together may we thread our societies with the fabric of solidarity and unity. Together may we make a difference like no other generation. To be known as a people of generosity, acceptance and love. Together may we wage war against indifference and apathy. 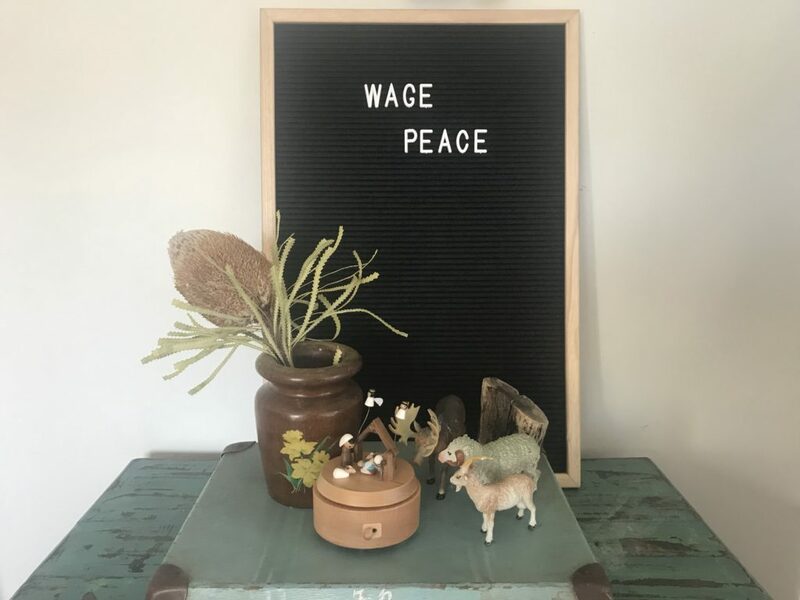 Together may we wage peace.